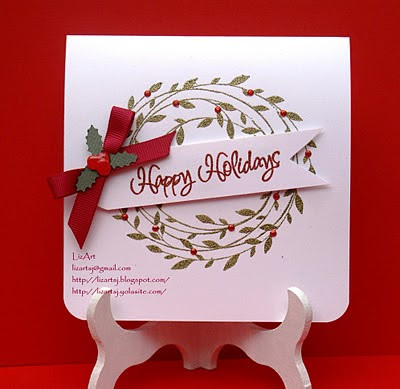 Hi, today October 1st is a WCMD and Paper Craft is celebrating with us with a Blog hop, we have to make a cards, and it´s a great opportunity to meet new people and learn of them. 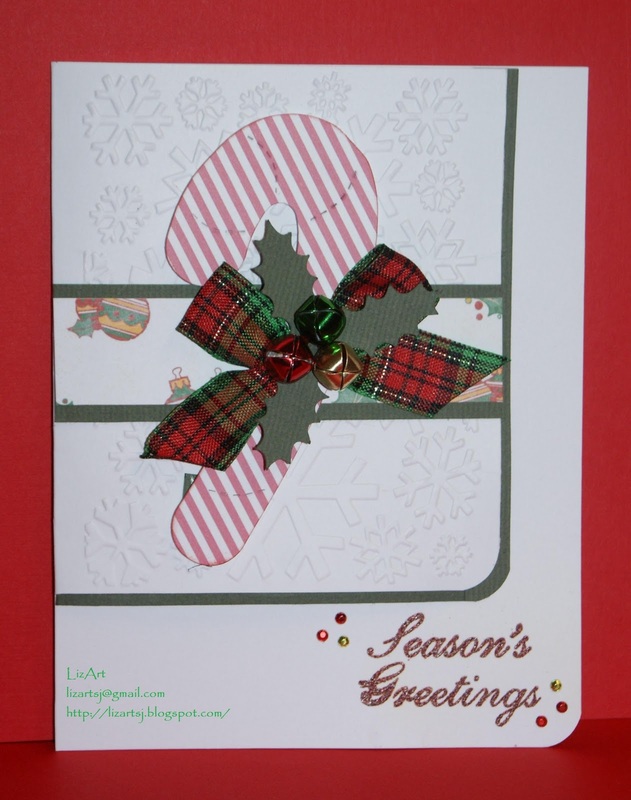 The Supplies that I used was a simple cardstock white, cling stamp of Hero arts, a emboss folder of Christmas, cardstock green, a Sizzix die of Candy Cane, red and green rhinestones, ribbon of American Craft and emboss powder of Ranger, the hollies and berries is a cut of svgcuts. My apologies for my bad English and sorry because I don´t have a Candy to gift but the intention is learn and participate in this great event. Beautiful cards. I love the wreath stamp on the first one and the way you did the sentiment on top of it. Those are both lovely. The wreath is fantastic! Lovely! My favorite is the first one I love how you did the sentiment over the wreath! Gracias por sua visita a mi blog. I LOVE your first card, it is gorgeous. I can see why you like it too. :) Thanks for stopping by my blog on Saturday. Hope you enjoyed WCMD. Your cards are beautiful, but I so love the first one. I love hero arts stamps and the wreath is a very special one to me. I love how you used it here in this creation. Hats off to you on starting your blog and sharing it with the crafting world. Congratulations! You won my blog candy! Please contact me at tampatha01@gmail.com with your full name and mailing address so I can send you your prize!